The leading ladies for all three of Shonda Rhimes’ hit series join her on the cover of Entertainment Weekly and we love it! 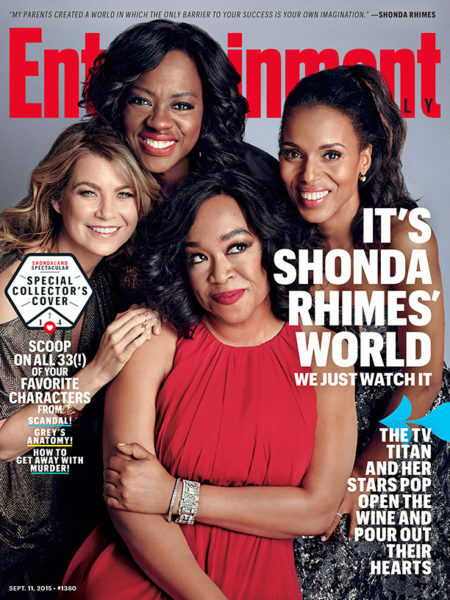 Just a few hours after revealing an EPIC photo with the cast of How to Get Away with Murder, Scandal and Grey’s Anatomy, Shonda Rhimes has landed the cover spot with Kerry Washington, Viola Davis and Ellen Pompeo – three ladies that make us #ThankGodItsThursday. 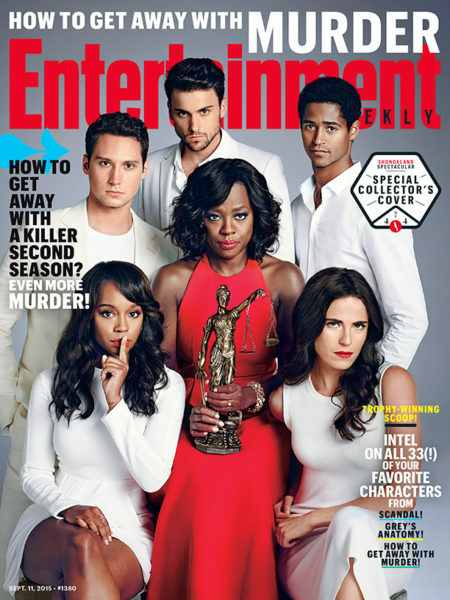 Entertainment Weekly blessed the world with 3 additional covers featuring the stars of her hit series. Here’s what they had to share with EW about their shows – and Shonda. For more about their cover visit Entertainment Weekly. if viola davis was not on how to get away with murder, I swear I wouldn’t watch that show. lets be truthful the writing and plot is very poor. viola carries the entire show on her shoulders. I almost gave up on the show in the middle of season 1. I hope they improve the writing and story in season 2. Speak for your self Bruno…, Never you say someone’s effort is poor. My mum is exactly like that! The way Olivia and Mellie are posing in that picture with Fitz makes it look like they’re going to introduce a lesbian story with those two (season finale). I wouldn’t put it past Shonda with the stuff she pulls these days. This deserves more than a 100 likes….!!! Hi 5 to the mothers that are pushing ahead to make sure there kids know their self worth and God giving rights…!! If only more parents did, what a wonderful world it would be. Shonda has spearheaded getting black characters, particularly women, back on tv. So bloody glad the drought is over. 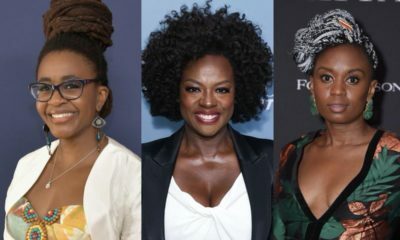 Kerry and Viola have a regular pay check and don’t have to worry about when the next movie script will come by, the residual money is there to get later down the road. Freaking women helping women at its best. Thank you Shonda for making tv worth it once again!